We have many people who study various aspects of medieval life and like to put on demonstrations of what they have learned. There are cooks, brewers, spinners, calligraphers, heralds, blacksmiths, dancers, leather workers, musicians, archers, armored fighters, and much more. If someone did it in the Middle Ages, someone is likely doing it now. 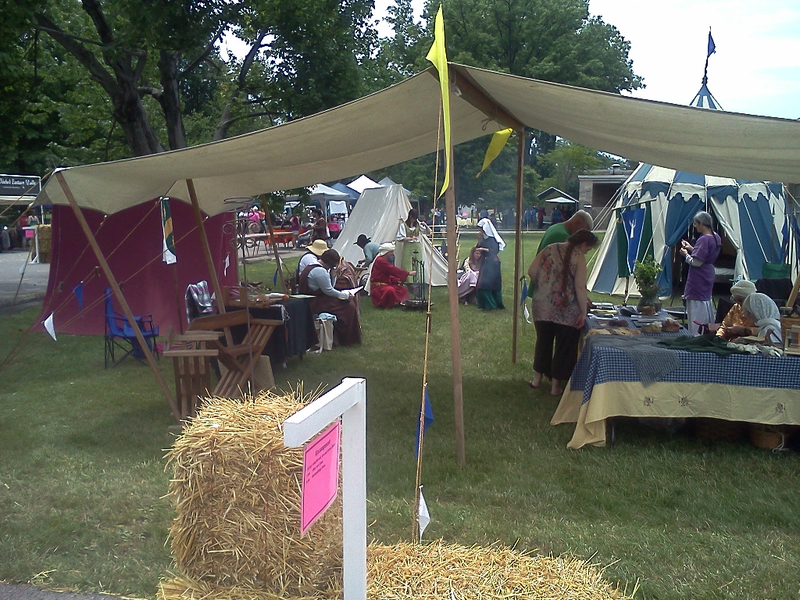 Our demos can range from simply a couple people in garb with a static display to a complete medieval encampment complete with cooks and guards. If you are a medieval enthusiast and would like to join us, or if your school/organization/library/etc. would like some of us to come and do a demonstration for you, feel free to contact our Demo Coordinator.